Holographic Codes Shakti. Over 2000 Advanced Energy Workshops for Physical and Spiritual Evolution. As you activate the Empowerments in Holographic Codes Shakti your cosmic DNA in all 12 light fields will become stable and irreversible flawless. Holographic Codes are energy transmissions from Spirit that serve as blueprints on which energy manifests in your life. As you activate the Shaktis for the Holographic energetic codes of vibration, more divine light will be assimilated into your energetic fields so you will radiate more light thus enabling more healing in your life! These Shaktis open the doorways to Divine vibrations (Holographic Codes) needed to communicate with your Higher Self. Holographic Codes are the keys necessary to assist the physical body chakras and Higher Self to operate correctly. Holographic Codes re-establish the correct energetic templates for you to overcome the unbalances from your previous lives. After receiving these Shaktis your energetic bodies will be cleansed and expanded! The Energy patterns or Holographic Codes vibrations will be accelerated to enable your Souls Divine Unfoldment. Imagine your energetic fields igniting like flames of illumination acknowledging your power, truth and wisdom! 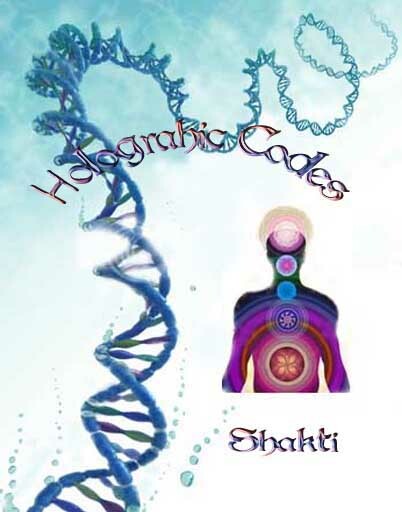 You will receive the Holographic Codes Shakti manual via Email, 3 Empowerments and a emailed certificate. Plus full email support is given before, during and after all my Workshops.